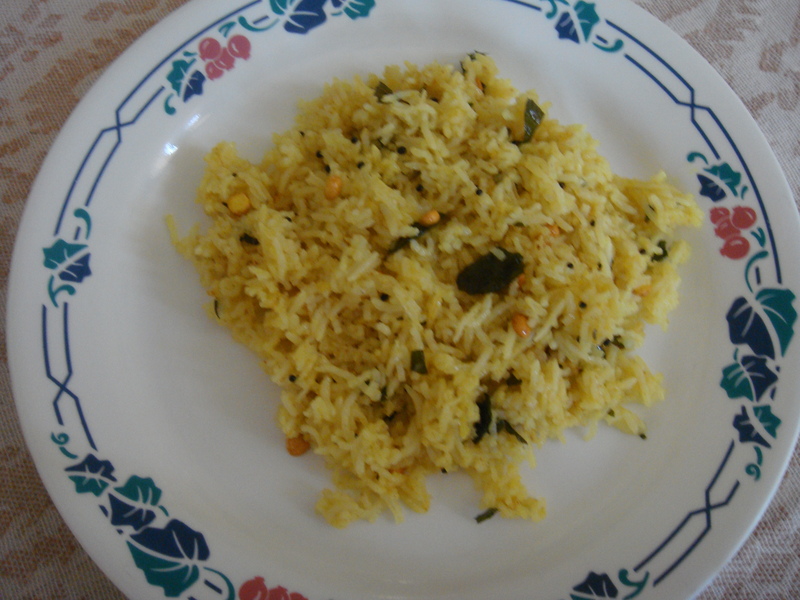 Cooked rice used for making lemon rice should not be mushy/ overcooked. The rice grains should be separate. (Pre cooked or freshly cooked). In a wok/ kadahi for tempering , take two tsp of oil and when hot, add mustard seeds. When mustard starts spluttering, add urad dal, chana dal curry leaves, asafetida , roasted peanuts turmeric powder and red chilies sauté on a medium flame for a minute. Add the rice, salt, mix well and cook on a medium flame for few minutes, stirring continuously. Add the lemon juice, mix well and cook on a medium flame for few second to blend in lemon juice well. Serve hot garnished with fresh finely chopped coriander leaves.